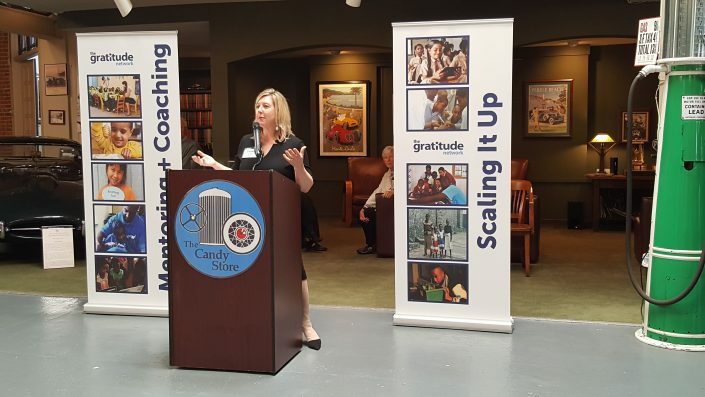 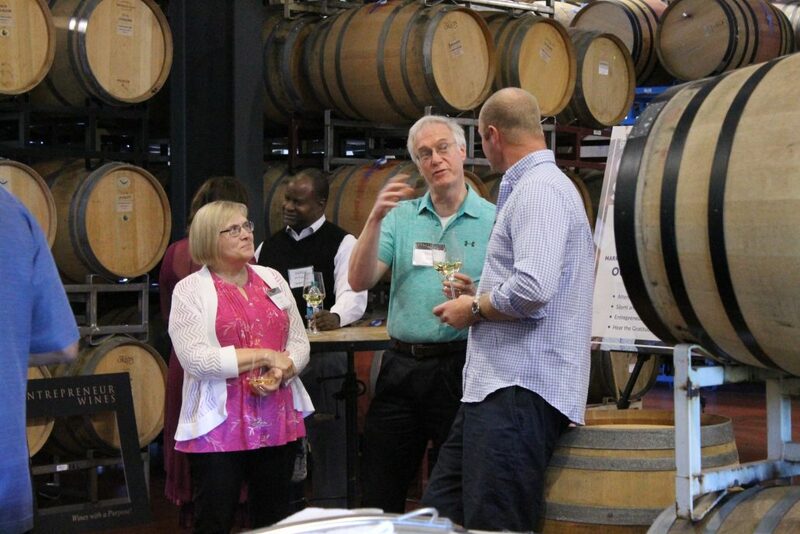 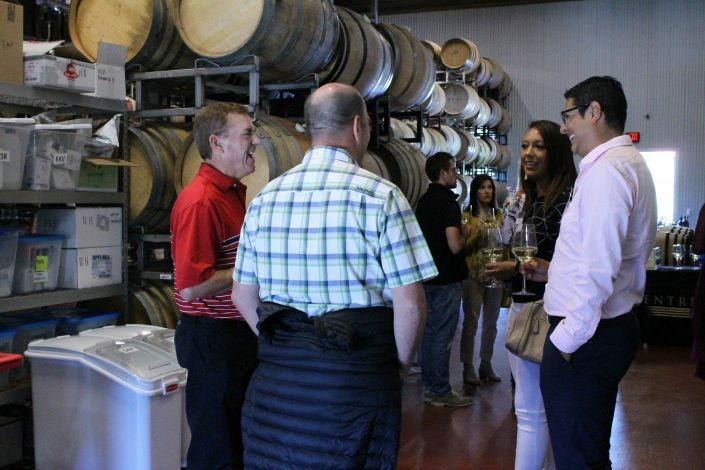 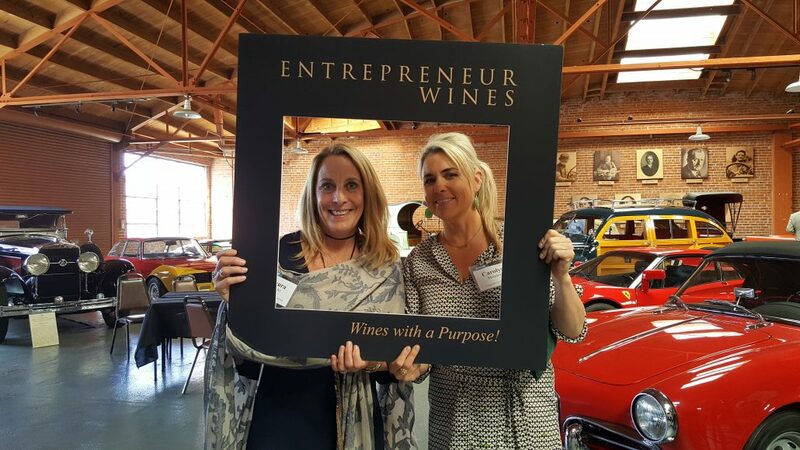 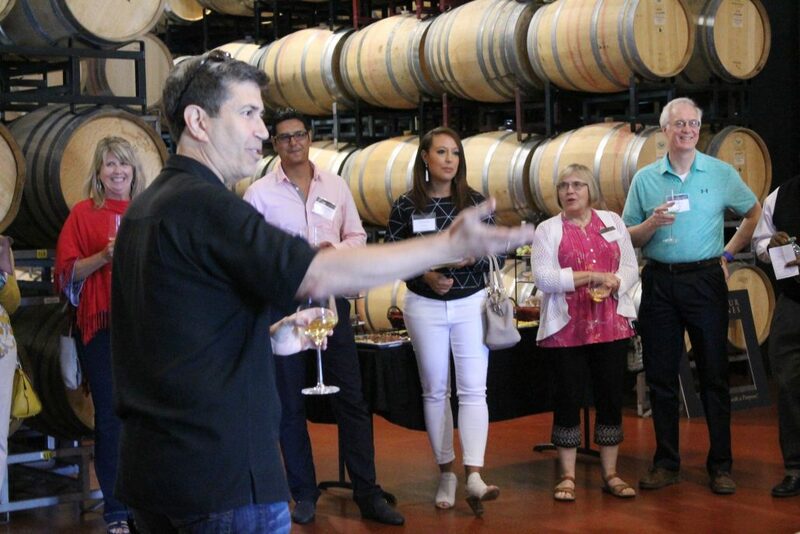 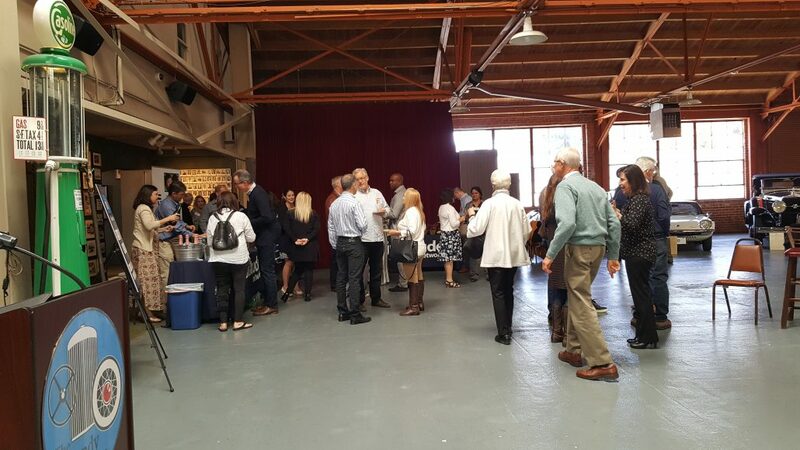 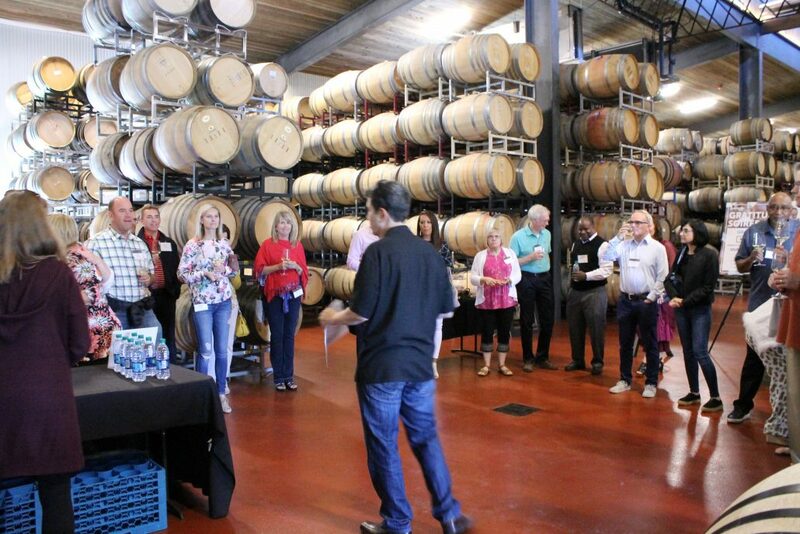 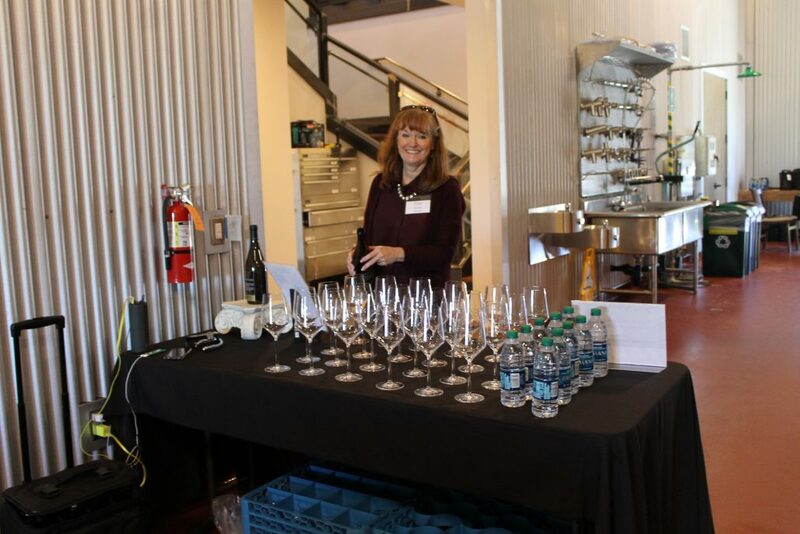 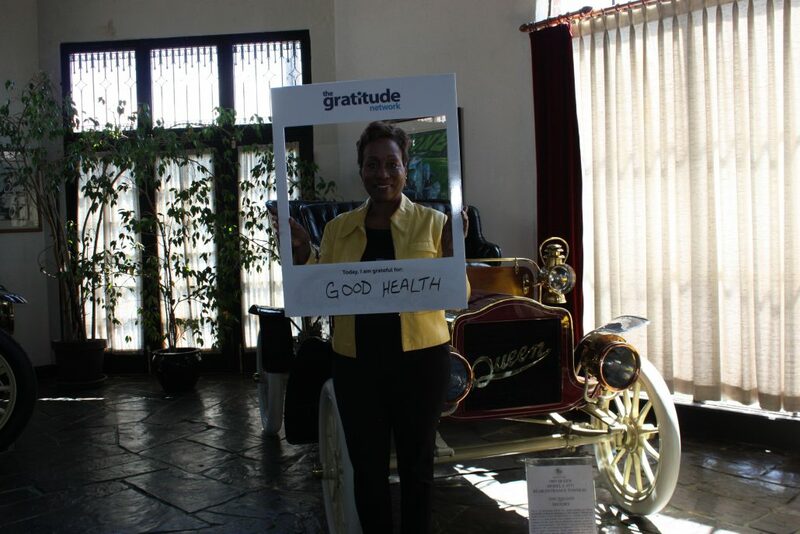 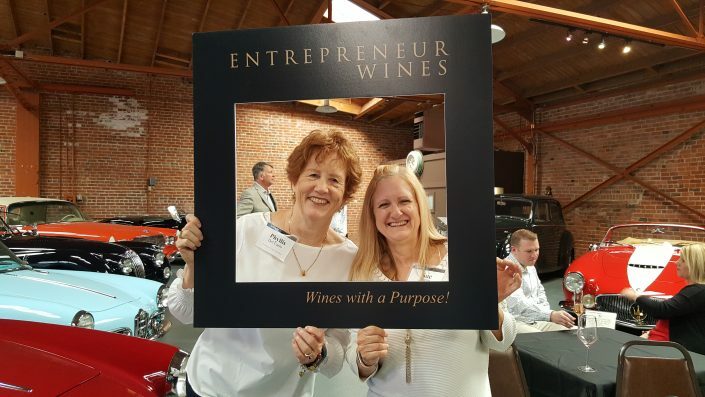 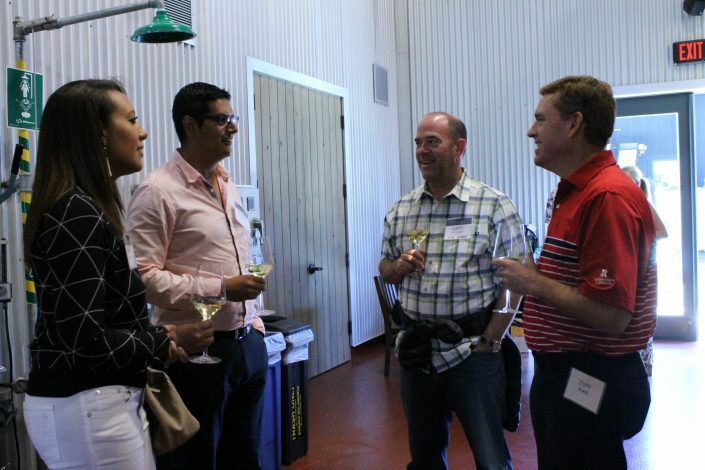 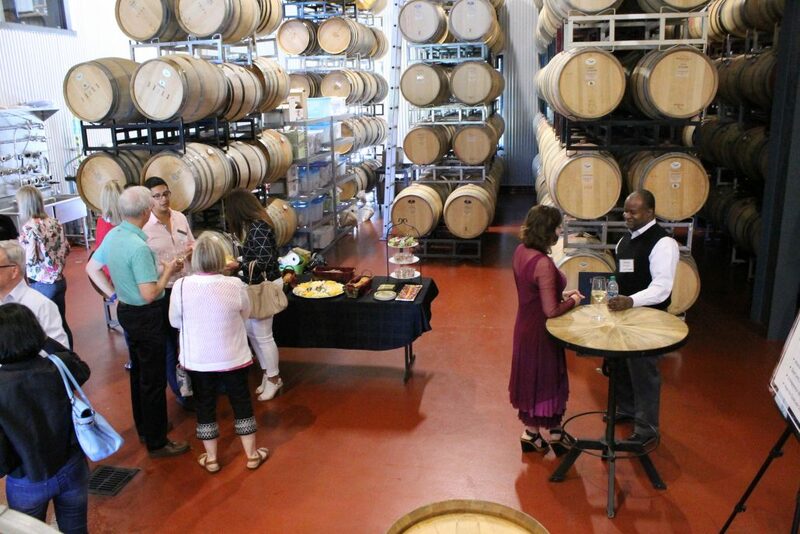 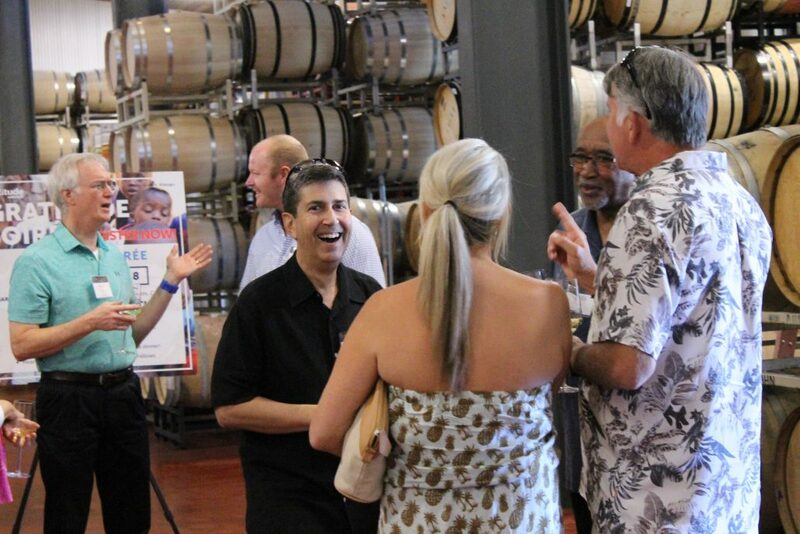 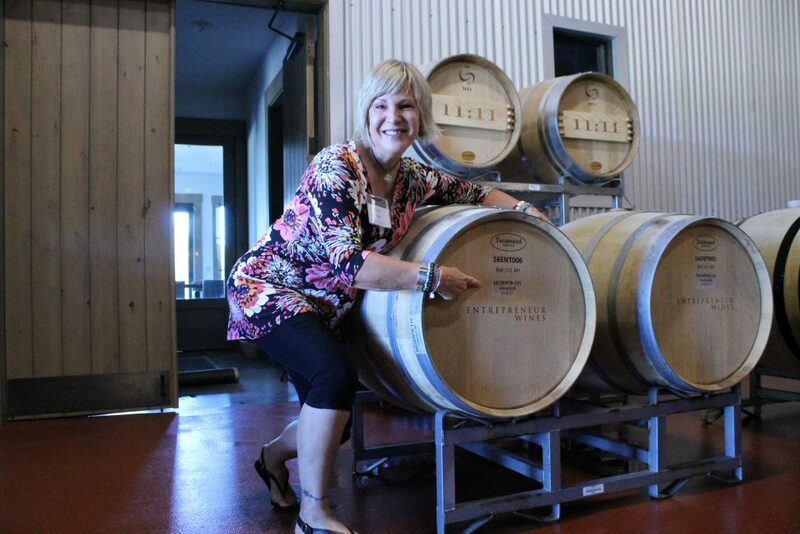 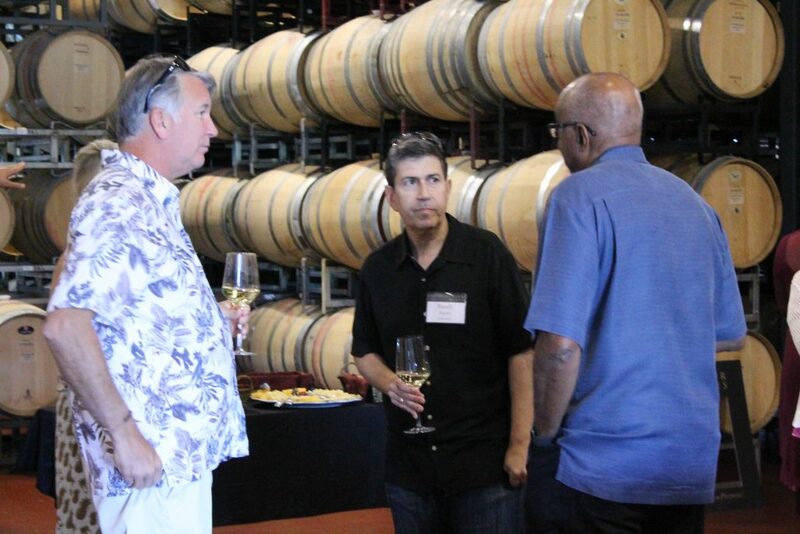 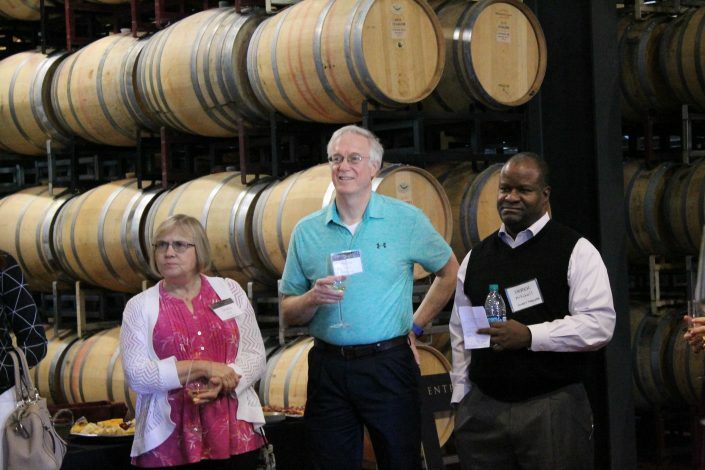 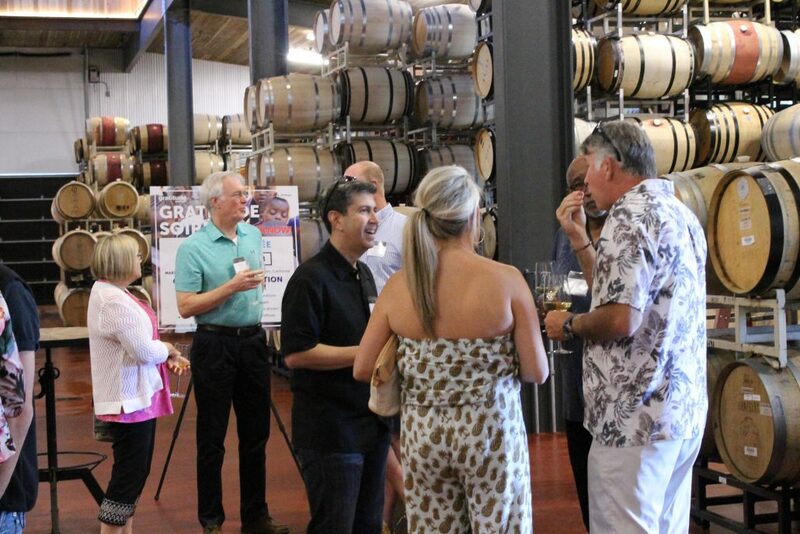 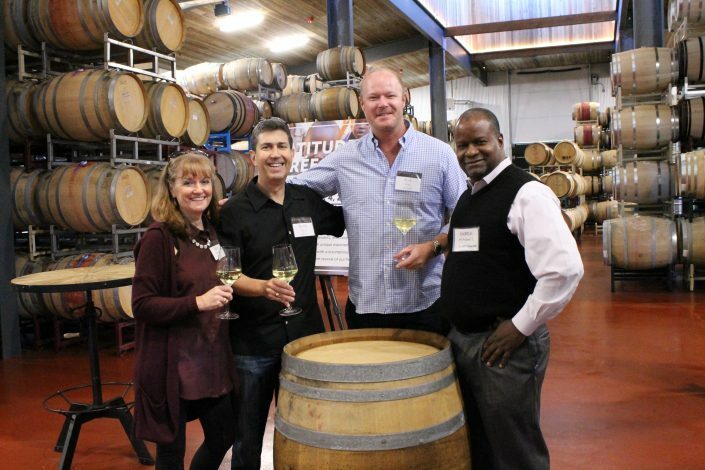 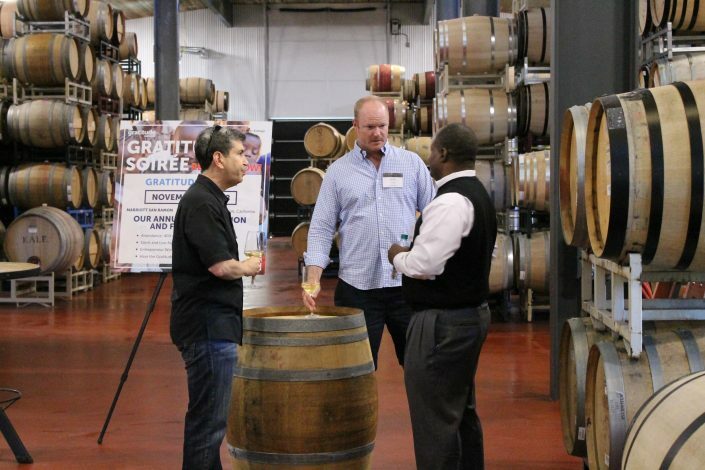 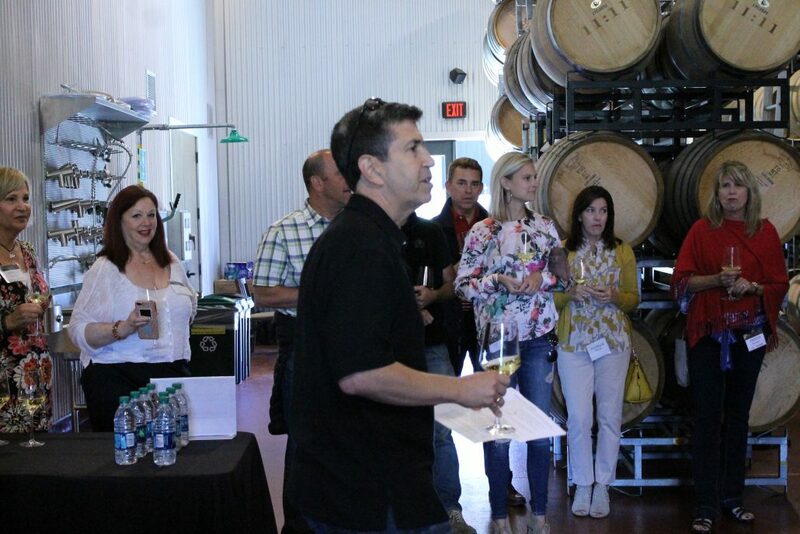 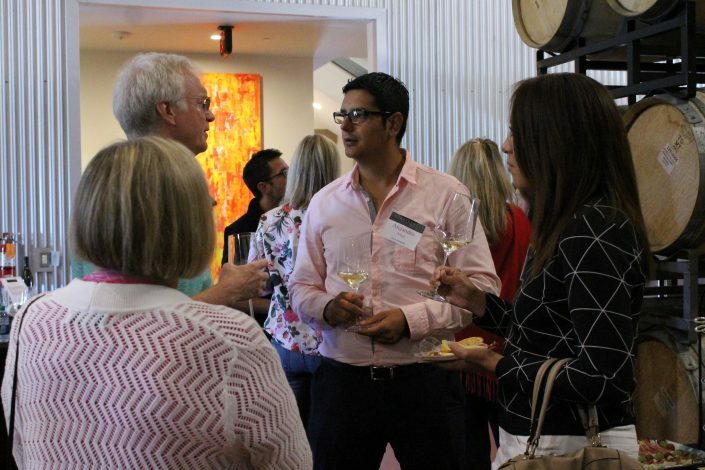 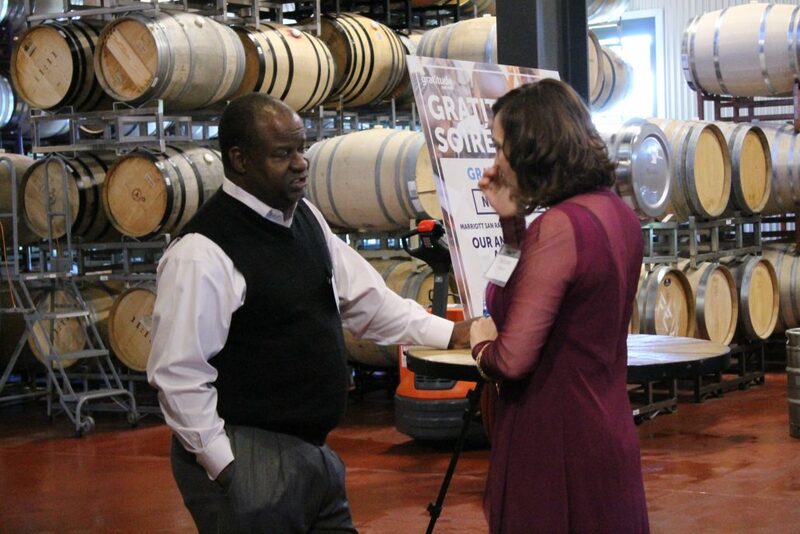 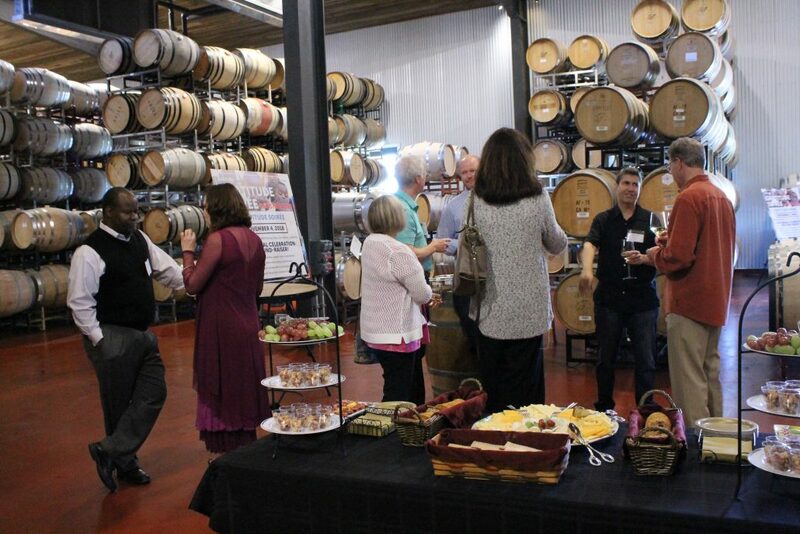 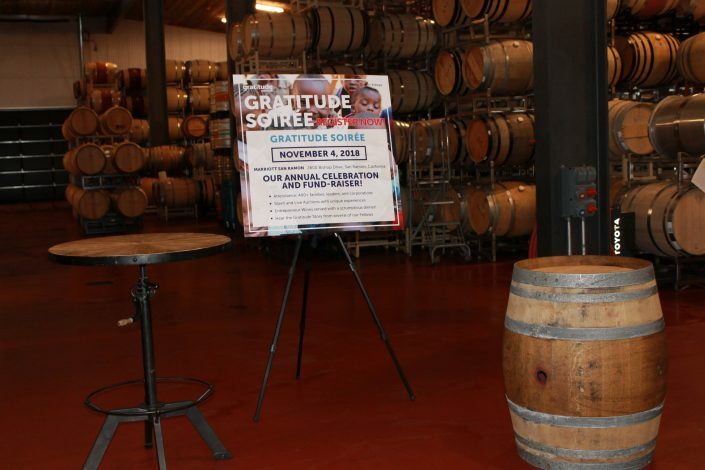 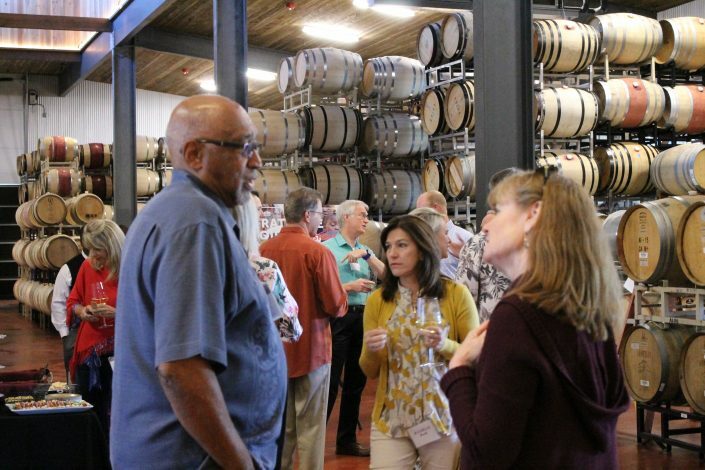 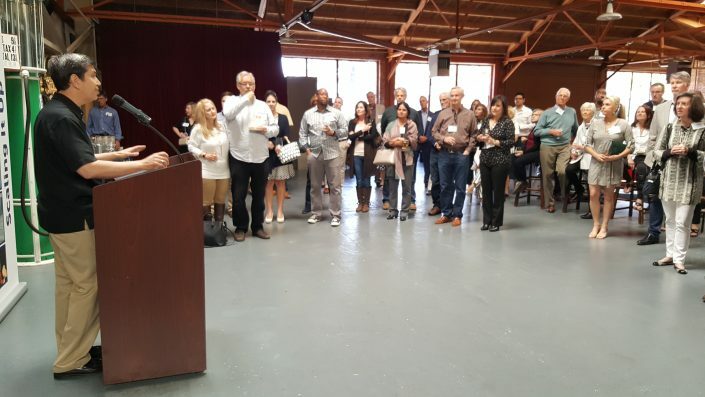 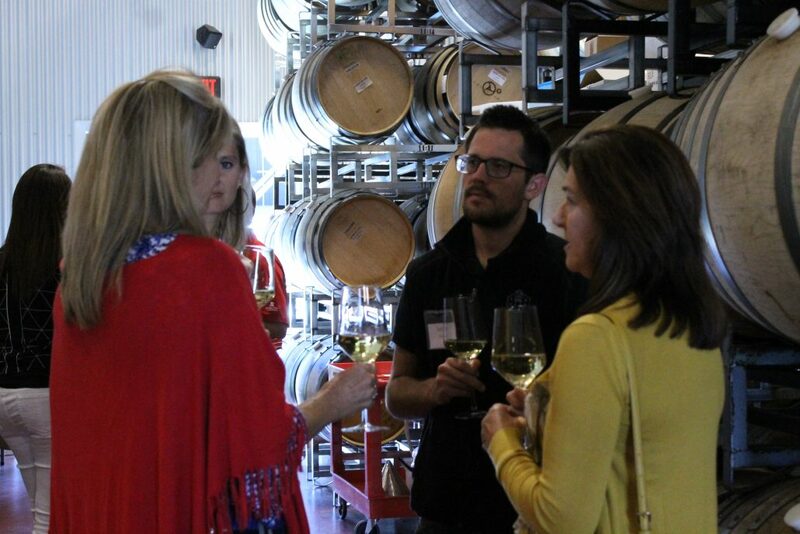 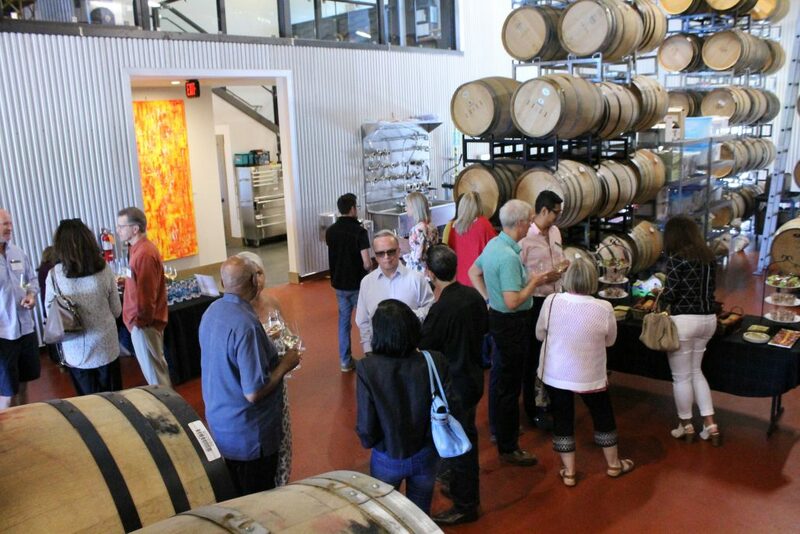 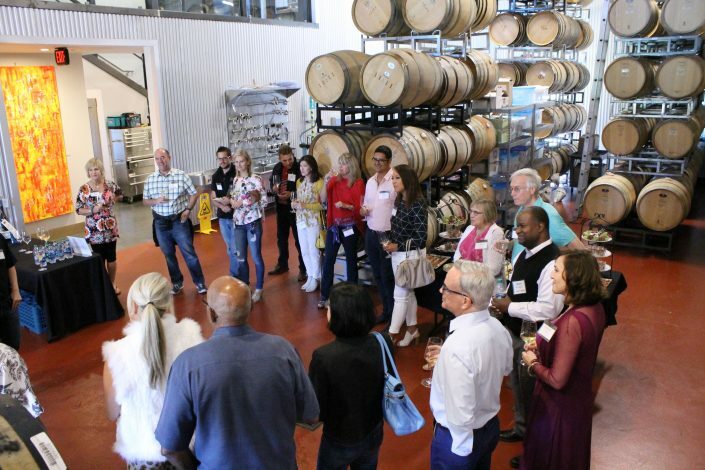 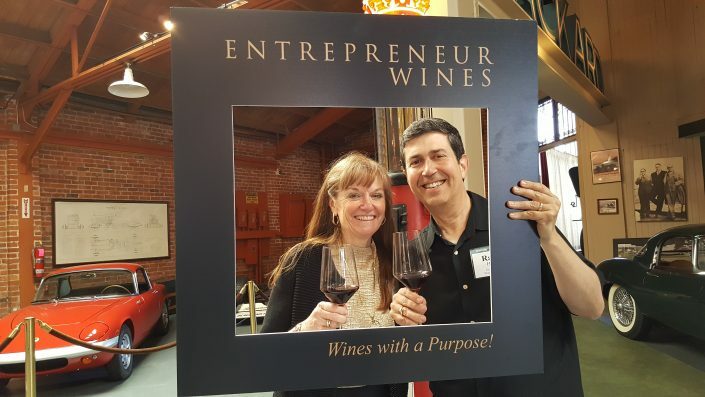 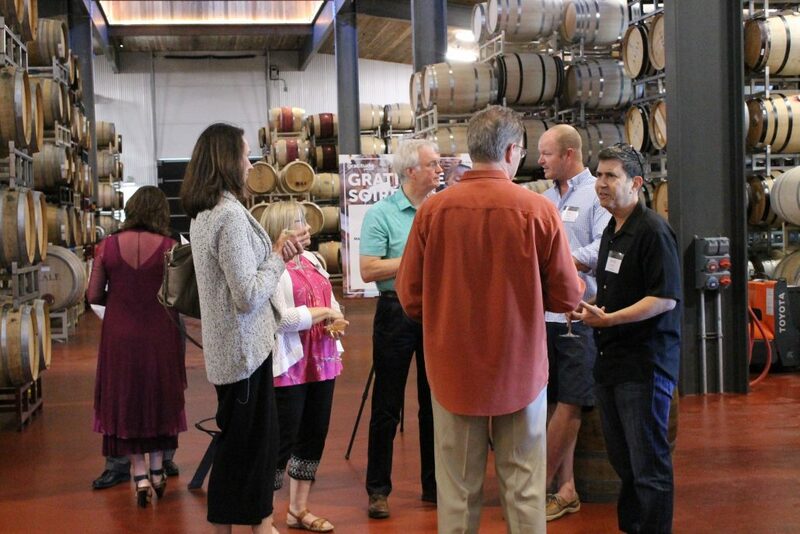 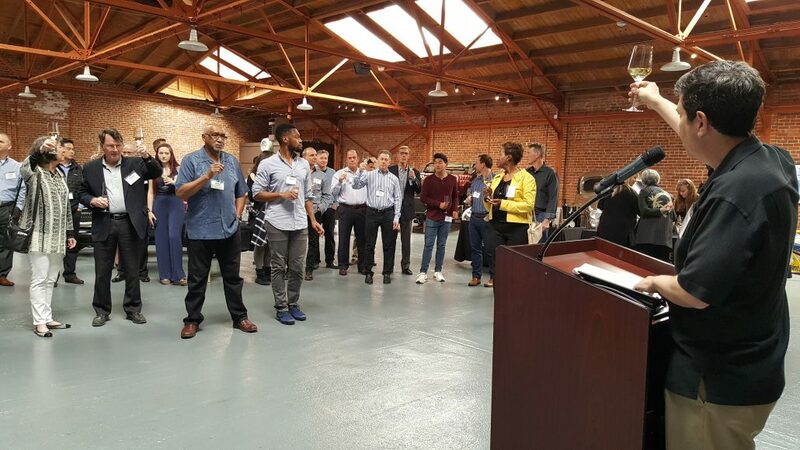 In April 2018, we held a very successful combined Entrepreneur Wines release event with a Gratitude “thank you” event for all of our Ambassadors and Corporate backers. 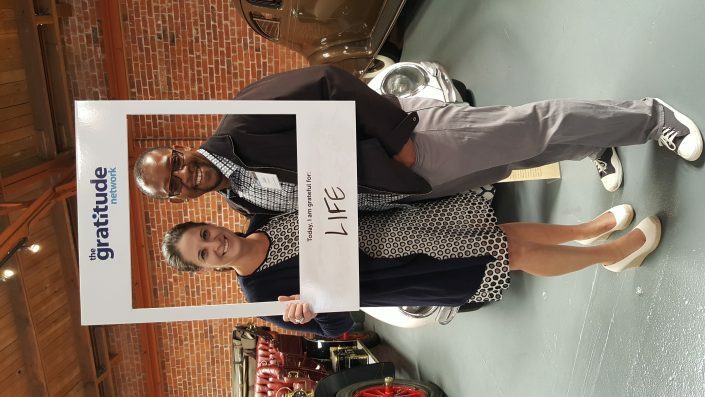 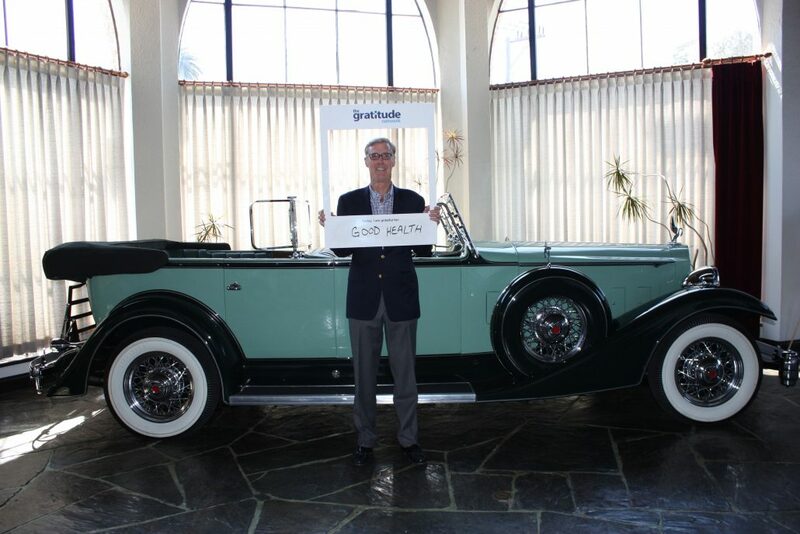 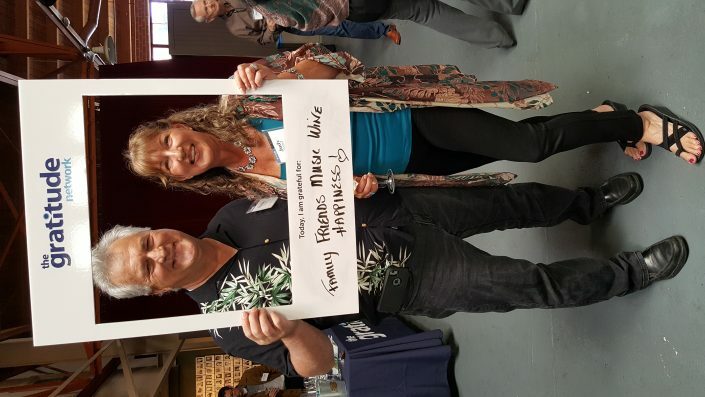 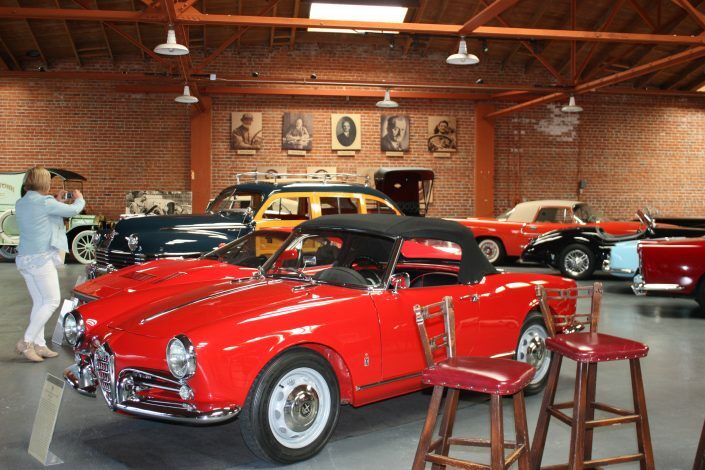 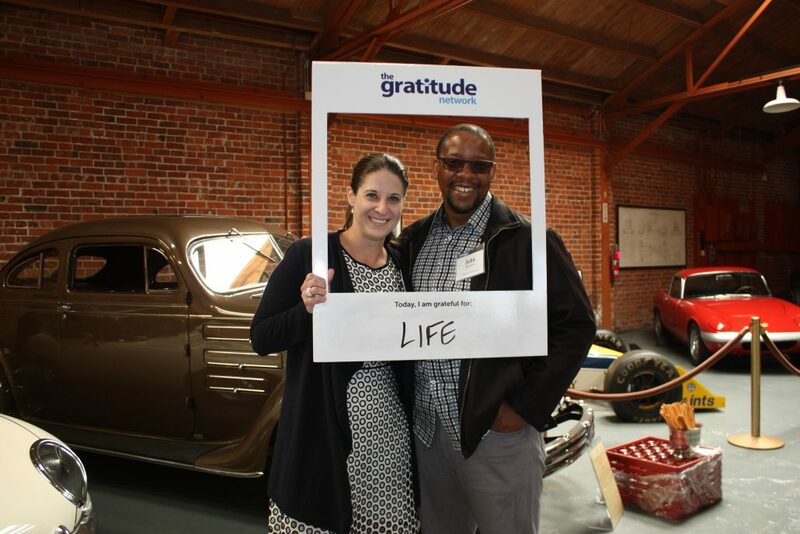 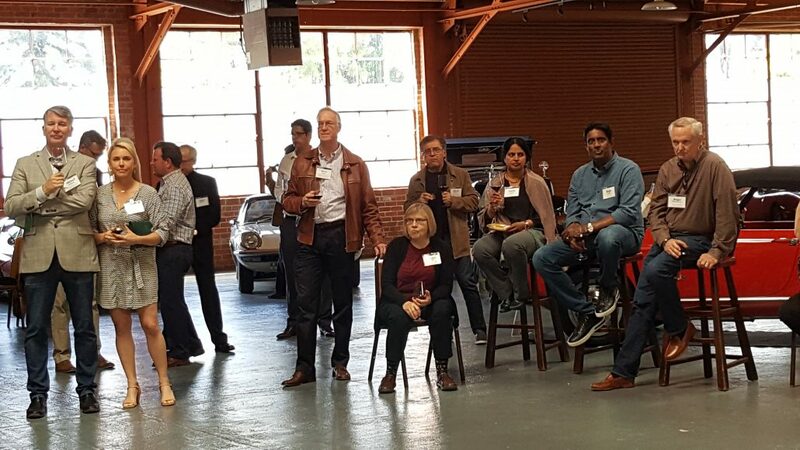 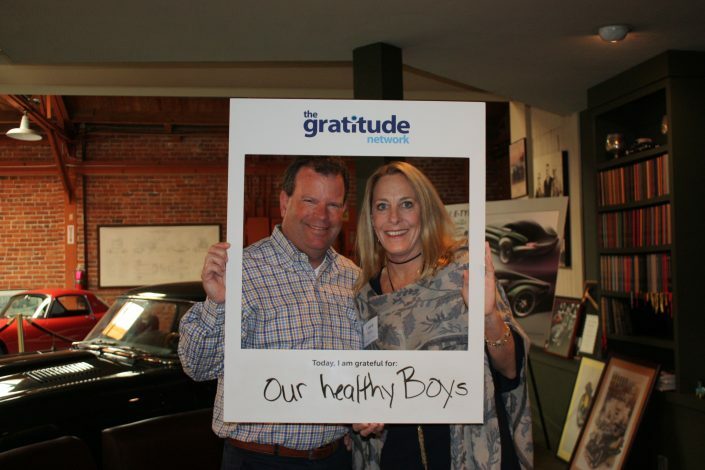 The event was held at the Candy Store, a unique auto museum in San Mateo. 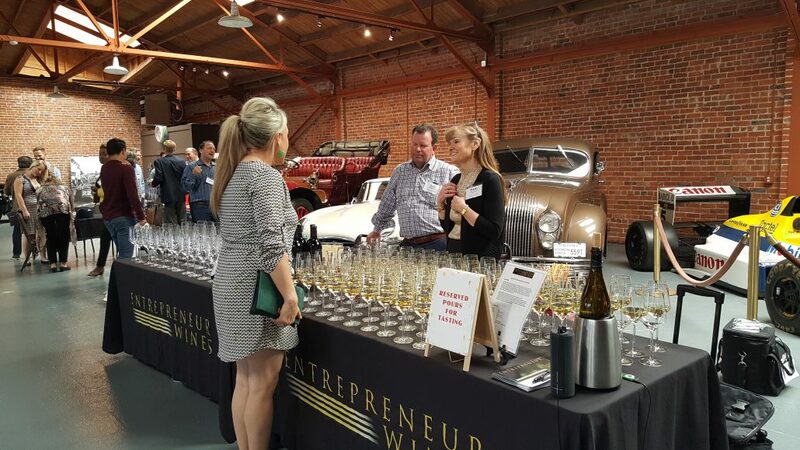 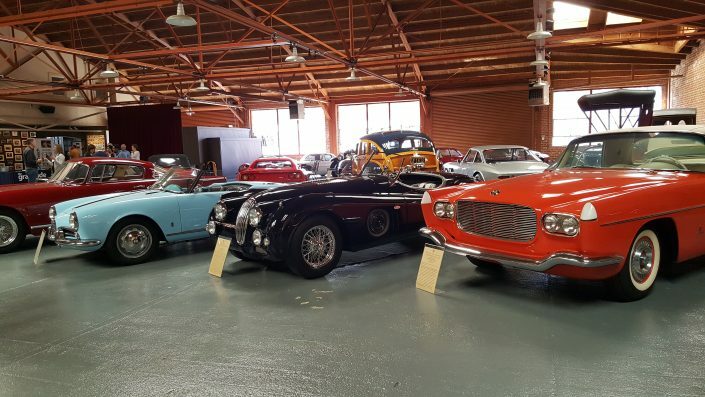 Our club members mixed it up while viewing million dollar antique automobiles and drinking our new 2016 Baciagalupi Chardonnay! 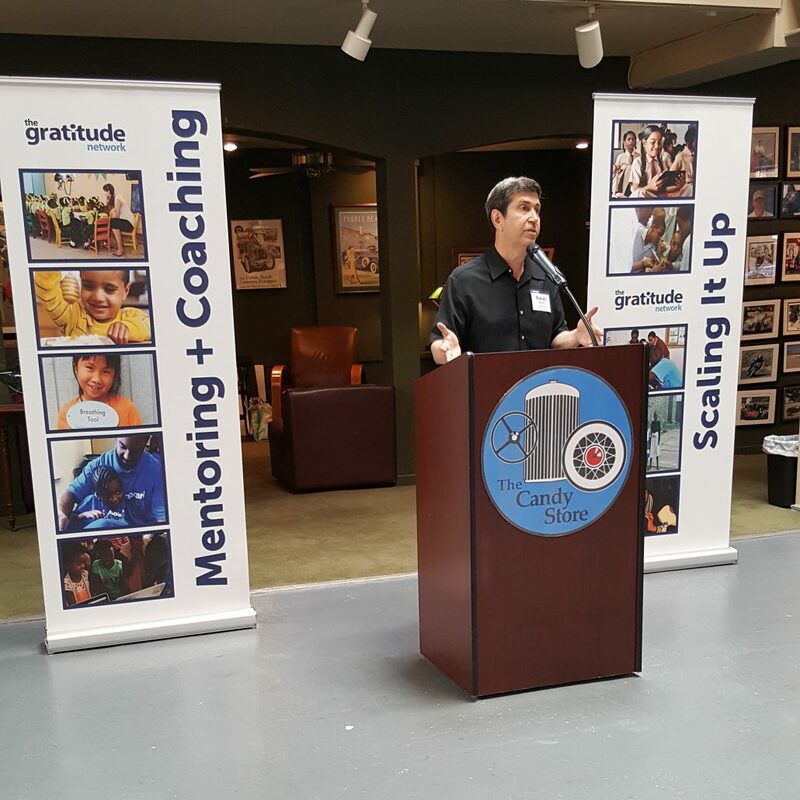 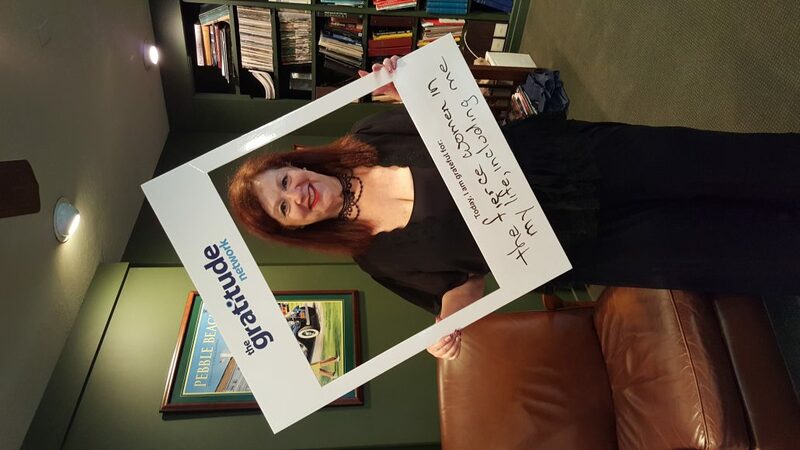 We had several Gratitude speakers that day, including Olenka Villarreal, CEO of Magical Bridge, and Sergio Medina, CEO of RISE. Both speakers talked about the work their organizations are doing to help handicapped or underprivileged children here in the US and abroad.